APPEL: The Naivete Of Decrying "Washington-Style Politics"
I had long conversation about politics with a moderate Democrat friend recently who was seeking advice on whether he should run for a state Senate seat in the Fall. I asked him why he would want to seek this office? His answer was predictable, though to me extraordinarily naïve. His response was that, though a lifelong Democrat, he believed that he wanted to serve in a majority Republican Senate because he didn’t want the legislature becoming mired in “Washington-style politics.” In my political career I have heard that retort many times from Democrats and the media. But what does it really mean? To be clear, not what does it mean to a minority in the legislature but what does it mean in the context of moving our state forward? From the executive leadership perspective, what is the governor’s interpretation? Within a very short time after he was inaugurated and without the least attempt to consult the legislature, he unilaterally accepted the expansion of Medicaid, thereby committing the people of Louisiana to billions of dollars of ever growing expense. This action alone was the biggest single expense commitment in the history of the state and he wasn’t willing to discuss it, let alone compromise, with the legislature. In fact neither did he undertake to negotiate with the Obama Administration in any effort to compromise on terms that would have protected the Louisiana taxpayer. Over that last several years his unwillingness to compromise with the Legislature was exhibited on many levels; by his repeated calls of special sessions, by his willingness to threaten the Legislature through scare tactics against the people such as threats of throwing old people from nursing homes, and by using greatly exaggerated images of a non-existent fiscal cliff to demand inflated taxes. Hello, using strong-arm tactics is not conducive to compromise! Clearly, compromise is not a word in our governor’s vernacular. So why shouldn’t the legislature just cave into the governor’s demands; isn’t that the compromise that my friend was really talking about? Of course it was. To the Democrat minority in the legislature my friend’s definition of compromise is the key they employ to prolong the political philosophies that they are desperately trying to hang on to. Sadly, these are the very philosophies that have held Louisiana back for decades. They are the very philosophies that have depressed the opportunities that should be available to the very Louisiana citizens that they portend to protect. They are the very philosophies that have led over a very few decades to a complete inversion of membership in the legislature, from majority Democrat to majority Republican. Compromise in the real world is an agreement between two or more parties that have something to gain and something to lose. In this scenario all parties agree to a sharing of gains and losses in a mutually beneficial manner. In a sense, in order to reach a compromise each party must have something of value to the benefit of other party. The naïve part of my friend’s comments come when he expects this real-world definition to apply to Louisiana’s political structure. Where his understanding falls down is that there is a huge imbalance in the power structure in state government thereby precluding that equal opportunity of potential gains or losses. It has long been the case that in our state the governor has had an overwhelming amount of power. 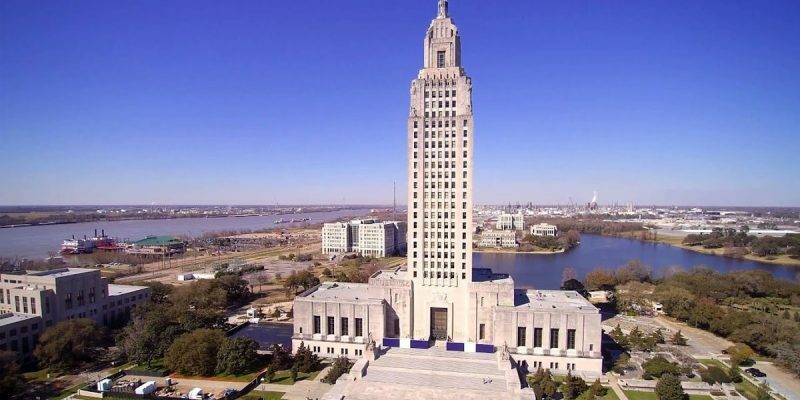 Up until the election of Governor Edwards the governors of Louisiana could effectively name the leadership of each house of the Legislature, as well as the makeup and leadership of all committees. The governor has had the extraordinary power to control the many quasi-government boards and commissions. On the fiscal side his/her control of the committee structure has allowed him to dictate budget and tax policy and to control capital outlay. When taken as a whole the governor of Louisiana has been able to use these extraordinary powers to drive policy as he saw fit. Because of these powers, in a practical sense, compromise has not ever been an option. For all practical purposes a Louisiana governor had no need to compromise on anything. My speculation is that when elected Governor Edwards assumed that this standard operating procedure would just continue, that he would have a subservient legislature and he could basically do as he pleased. But reality set in very quickly when the newly elected House rejected the politics of the past and insisted upon being a truly independent body. The Senate on the other hand followed tradition and fell in line behind the governor. Now perhaps compromise could have taken place as at least half of the legislature had something to gain and something to lose. But this opportunity was greatly diminished by the Senate’s posture. Sadly, by just going along with the governor, the Senate missed any opportunity to join into any discussion of compromise with the governor. This lost opportunity would have allowed the Senate a voice in significant policy issues. Instead the Senate has been used to fend off the House on behalf of the governor, thereby losing its significant opportunity to lead. My friend wants to join the Senate to bring compromise. In order to actually accomplish that, the Senate would have to be in a posture to negotiate with both the House and the governor. Though this has not been the case, something is afoot. The elections of 2019 offer a historical change. Much to the chagrin of my Democrat friend, the Senate for the first time may end up being in a position to compromise, but not because of what he believes. No, after the election it may well turn out that the Senate has a significant majority of conservative Republicans, many coming over from the House. These new Senators will enter with a taste of independence unheard of in modern history. At the same time the House is expected to continue to grow its conservative membership and to continue its efforts to remain independent of whomever is governor. If the Senate demands its independence from the governor, there are two cases for the near term future of Louisiana state politics. First, if Governor Edwards wins re-election, his propensity for taking a hard line with the Legislature may well lead to gridlock. If, as in the past, he isn’t willing to work with the Legislature and instead continues using his strong arm tactics, I seriously doubt that there will be any compromise and our state will face four years of political stagnation. Of course a re-elected Governor Edwards may in the unlikely event learn that the political world has changed and that he can only lead by working with the Legislature instead of against it. Did I say unlikely? The other scenario is that our state elects a new Republican governor. Based upon the assumption that whomever wins is a reform-minded leader who places prosperity ahead of populist politics, then I suspect we may see a whole new Louisiana. We will have the perfect storm of a conservative legislature whose philosophy lines up with a conservative governor in a state that is heavily conservative. In such a case I would expect that the governor and the newly independent Legislature would work very closely and compromise would become a matter of course. So my answer to my friend was that his idea of running as an old-school Democrat to join a body that is swinging farther away from the politics of the governor is pure folly. His effort would have no chance of helping to bring about compromise in the sense that he claims he wants to see it. If, in the highly unlikely possibility that he won, he would be assured that he would be relegated to a meaningless role in a body that is more conservative and independent and as a member of a Party who has moved further left than he could ever dream. If the people of Louisiana have any expectation of progress over the next four years there is only one path to follow. The citizens must elect a conservative governor who can work with a conservative Legislature. It is pure foolishness to think that in any way the current governor will suddenly awaken to the benefits of compromise and, if as expected there is a more conservative Legislature, we can be assured that nothing positive will happen. Did I say gridlock? Previous Article How Big A Joke Is LaToya Cantrell? This Big. No trending posts were found.